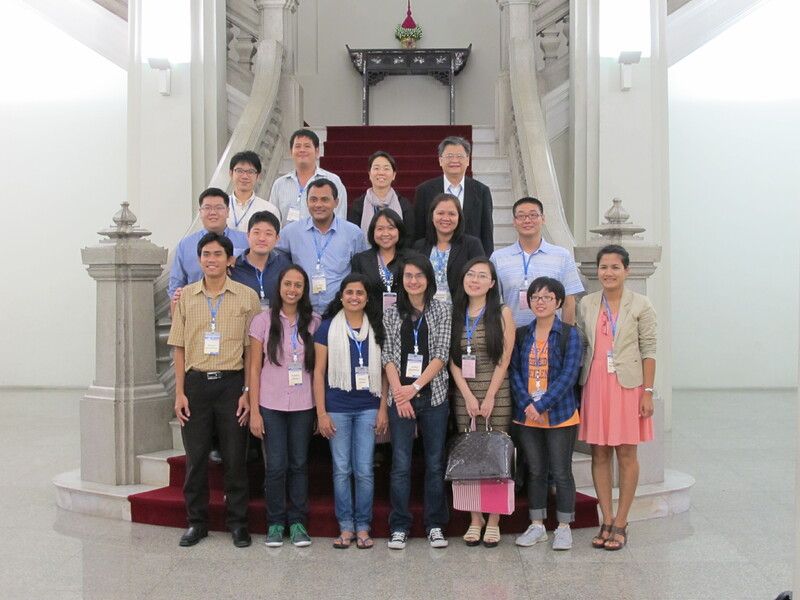 The 2013 ProSPER.Net Young Researchers’ School was hosted by Chulalongkorn University, Asian Institute of Technology (AIT) and Prince of Songkla University (PSU) in Thailand from 9-20 September 2013. The theme of this year’s school was ‘Partnerships in Water and Biodiversity for Sustainable Development’. The main goal of the YRS is to provide graduate students and young post-doctoral researchers with an opportunity to better understand the spectrum of challenges that underpin sustainable development. By assembling these young researchers together for an intensive 2-week workshop, the school also fosters the growth of a network of sustainability scholars and professionals in the Asia-Pacific region. *Participation is limited to students who are currently enrolled in a PhD programme at ProSPER.Net member universities. Fifteen students attended the two-week school this year in Thailand. The students are highly accomplished graduate students who come from a wide variety of backgrounds but share a common vision of a more sustainable future for all. Click here to read the lecture summaries written by the students. Read the report about the field trip to Petchaburi Province where YRS students visited the Royal Projects for Sustainable Development. Tentative programme– updated on 29 August!